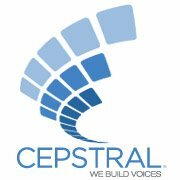 Please post any questions, use cases, or ideas here about using Cepstral voices on the Raspberry Pi. We would love to hear about performance, use cases, success on operating systems other than Raspbian etc. We would be happy to assist you in any capacity as well. This is discussed further here: http://www.raspberrypi.org/phpBB3/viewt ... io#p254225) and here: https://github.com/raspberrypi/firmware/issues/139. It may also be possible to stream audio without uninstalling Pulse Audio. If you'd like to try it, you can read more about that here: http://elinux.org/R-Pi_Troubleshooting# ... plications. 1 is for analogue audio; 2 is for hdmi. aoss swift -n Callie "Hello, this is Callie." I did some performance analysis of the Callie build we currently have available and found some interesting information. First of all, the first time using the voice to synthesize text is radically slow because the voice needs to be loaded into memory. Subsequent syntheses however take advantage of the voice data in inactive memory and synthesize much much faster. I wanted to test swift's performance on the Pi at normal processor speeds and overclocked speeds. We find that a 1s delay is not very noticeable thus making Callie very suitable for usage in a Real Time TTS application in our opinions. Where can a user like myself go to download this software? I am a license holder for the x86 platform and would love to start some experimentation with my raspberry pi. I tried submitting a ticket via the web portal, but have yet to get a response. I am very sorry to hear that you have no received a reply from our support team. We recently moved onto a new ticketing system and it is possible your ticket was lost in the shuffle. Please accept our apologies for allowing that to happen. The best way to purchase the Raspberry Pi voices are via telephone: 412-432-0400 and direct your call to our sales department. We hope to offer our voices on our online store for easier access in the future but at the moment have not had the development time to do so. Please let me know personally if you have continue to have any further difficulties. Is there any way I can do this via an e-mail. Like a certain portion of the fellow nerd population; I am kind of phone call averse. Yes, you can always contact us through our ticketing system with any questions or requests you may have! I'm interested in the Cepstral TTS engine for the RaspberryPi. I'm currently building some nodes for the Node Red project (http://nodered.org/) and one of the areas I'm interested in would be TTS. These nodes will be provided for free, and would allow someone to build their home automation system to include voice for example. Is there a way I have access to the Cepstral voices for the RPi? You can call 412-432-0400 to purchase the Callie Pi voice for $29.99. Just wanted to share with the forum.. out of curiosity I uninstalled my raspberry pi license and then attempted to reinstall it on my ODROID u3 running Ubuntu 13.10 and it worked!!! In the install worked way way better no having to play with renaming the library files. I would like to use Cepstral David for the voice in my home automation project. Can Cepstral please just compile all the voices and make them available for retail purchase / download. 1. I'm getting stuttering on my RPi installation & sometimes it seems the buffer gets messed up. It happens whenever punctuation is in the text. Anyone else run into this? Any work arounds/fixes? I am running on a model B+. 2. Anyone encounter any changes needed when moving to Raspian Jessie? I have purchased five licenses for personal voice use on the raspberry pi. I have them all installed, registered, and they work, but ONLY if I send the output to a file (.wav), then aplay that file. This creates an enormous lag in the speech output (as much as 12 seconds). alsa-utils is already the newest version. pi@Dolores-M:~ $ aoss swift -n Callie "Hello there"
pi@Dolores-M:~ $ padsp swift -n Callie "Hello there"
I have had no issues using ESpeak - it speaks from the command line directly... but just sounds like a robot. It *seems* almost like padsp and aoss aren't even being looked at. I get the exact same oss_audio error regardless of whether I use those wrappers or not. I've exhausted everything reasonable I know of so far, and am hoping that someone might happen here who can help. Seems pretty quiet here though.